Artificial Turf Wars Ep. 119: Let Chaos Reign! 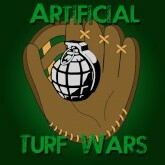 Artificial Turf Wars Ep. 111: Oh, What Happ-y Trades!